“Patients with metastatic castration-resistant prostate cancer (mCRPC) and visceral metastases (liver and lung) fare better with the androgen receptor inhibitor enzalutamide than placebo, according to a new analysis from the phase III AFFIRM trial. There were differences in response based on which of those two sites had metastases, suggesting they should be considered differently for treatment. “Percutaneous hepatic perfusion increased hepatic progression free and overall survival rates in patients with liver metastases from melanoma vs. patients who underwent yttrium-90 therapy, according to data presented at the 2015 Society of Surgical Oncology Annual Cancer Symposium. “Patients who can undergo complete surgical treatment of melanoma liver metastases should consider this option, say oncologists from California. “In their experience, hepatic resection [removal of part of the liver] for metastatic melanoma significantly improves survival over medical treatment alone, they report in the July issue of the Journal of the American College of Surgeons. 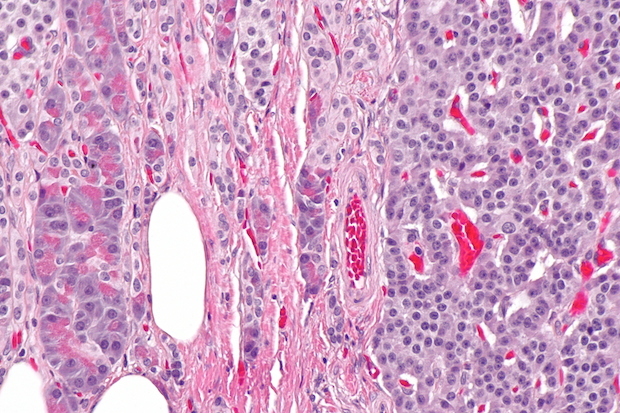 “Lung, liver, and other visceral metastases are associated with the poorest survival in advanced hormone-refractory prostate cancer, according to results from a meta-analysis that sets the benchmark for prognosis. “Lung metastases were associated with 30% higher adjusted odds of death compared with bone metastases (median survival 17 versus 20 months, P<0.002), Susan Halabi, PhD, of Duke University, and colleagues found. Two chemotherapy drugs may be better than one against melanoma, according to results from an ongoing clinical trial that were presented at the 2013 meeting of the International Society for Melanoma Research. The drugs were dacarbazine, which is U.S. Food and Drug Administration (FDA)-approved for melanoma, and paclitaxel, which is FDA-approved for breast, lung, and pancreatic cancers. In a phase III trial of 529 melanoma patients, the drug combination kept tumors from growing two times longer than dacarbazine alone (4.8 vs 2.5 months, respectively). The subgroups that did best included men and people with melanomas that had spread to the liver or brain. This is particularly encouraging for the latter group because they have the worst prognosis.